This one is truly not for the feint of heart – the Cajun spice definitely leaves your mouth burning and I always pair this with something that will help cool it down; a spinach salad, fresh cranberry relish, citrus slices, etc. 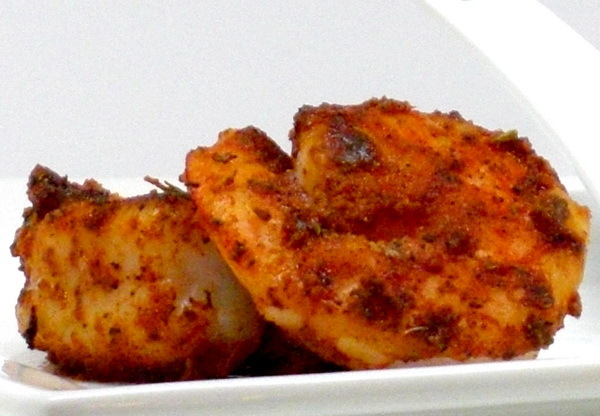 Place a good amount of Cajun seasoning in a bowl and dredge each piece of fish to full coat it. Alternately, you can place the spice in a zip love bag with the fish and shake, shake, shake until all are coated. But I find you get a thicker coating with the dredging method. Heat a pan on medium high heat. Remove from heat and spray with Pam. Return to heat and place scallops and in the pan. Typically large scallops are cooked 7-9 minutes total, but I like mine more well done so I go 11-13 minutes (about 6 minutes per side). You can be sure they are done by poking them – if they are soft and squishy, they are not done. You need them to have a little bounce and be firm – then they are done. The shrimp will cook in 7-9 minutes, so place in the pan just before you are ready for the scallops to be flipped. Shrimp are done when they are pink and firm. Remove to a plate and garnish with parsley before serving. 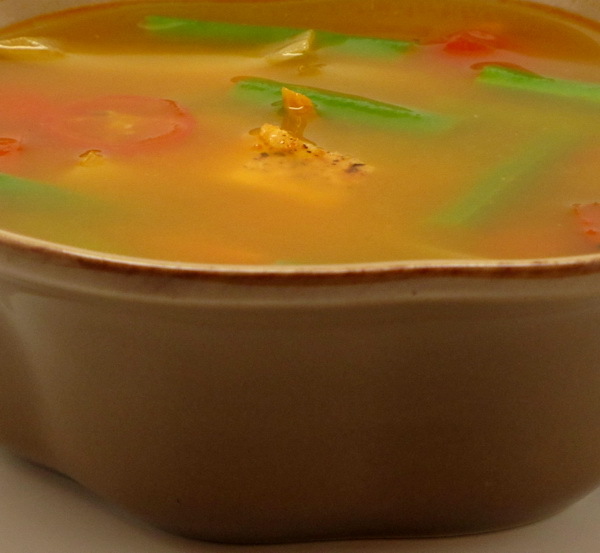 A great recipe that is as tasty as my original ‘non diet’ version of this dish. It takes 5 minutes to throw it together and then it cooks for 6 hours in a crock pot leaving you time to blog while your dinner cooks 🙂 Serve with Rice and Pasta with Parmesan Cheese and Sauteed Spinach with Garlic for a great complete meal under 400 calories. Zesting Lemons, Limes and Oranges is a snap with this tool. I have a whole set of Microplane graters from fine to coarse and they never fail to get the job done easily and quickly. In a small bowl, mix the wine with the basil, parsley and red pepper flakes. Spray a skillet with a small amount of Pam and heat on high for a few moments. Quickly brown the chicken on both sides and remove from pan so they do not cook too much. Add the garlic and celery to the wine mix and stir around to coat well. Place the garlic mix in the bottom of the crock pot. 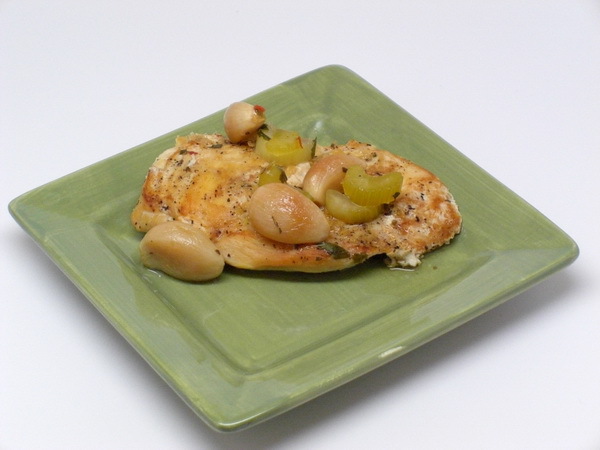 Place browned chicken breasts atop the garlic mix. Squirt the juice of one lemon over the chicken. Put the zest of one lemon over the chicken. Add salt and pepper. Cover the crock and cook on low 6 hours.